Oregon Women for Agriculture opposes raising Oregon’s minimum wage. OWA members share the reasons why they are personally opposed to raising Oregon’s minimum wage. Oregon Farmer & OWA member Shelly Boshart Davis submitted the below testimony to the Oregon Legislature in opposition. My name is Shelly Boshart Davis. My family farms grass seed, wheat and hazelnuts, we have 36 semi-trucks, and export grass straw overseas. But what we do and what we’ve always done is Agriculture. 1 in 8 jobs are rooted in Agriculture and is an important part of Oregon’s economy. 80% of Oregon’s Agricultural product leaves the state. That could end up anywhere from Japan to Arizona. 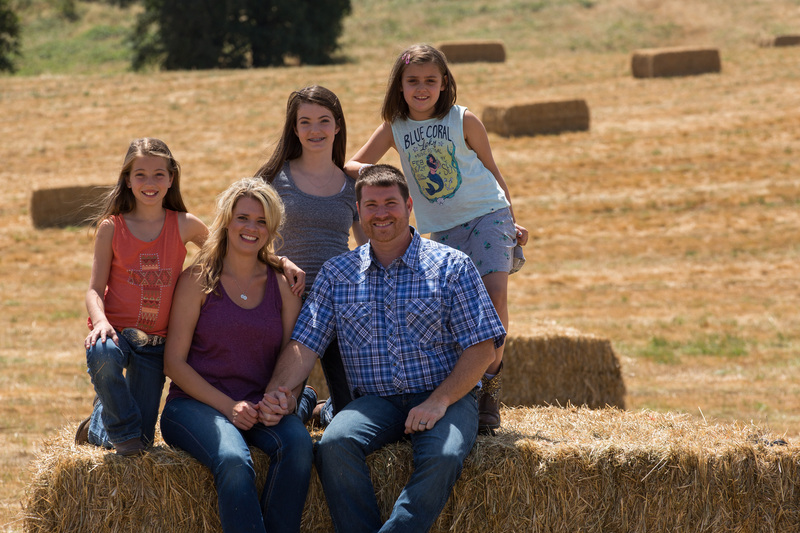 We have a well-earned reputation for producing safe, wholesome, high-quality farm products and that is an advantage Oregon can capitalize on in the national and international marketplace. A minimum wage increase will have lasting consequences on the Agricultural community and because of its importance to the economy, this will affect all of Oregon. Because Oregon’s Agriculture leaves the state, that means that both our competitors and our customer base don’t reside in Oregon. One of our top expenditures is labor – it is a high-labor intensive industry. When you increase your labor, you increase your costs. When you increase your costs, you have to increase the price of your product. We have to be profitable to survive every year, and to make it to the next harvest. Whether it’s my grass straw industry competing with Australian Oaten Hay or Oregon’s wheat competing with Ukraine – their costs will not go up. Committees, my farm and businesses enjoy teaching the next generation about hard work and we want them to leave summer with a sense of satisfaction and money in their pocket. We sacrifice part of our slim profits and use a lot of our patience in order to do this because it’s important to us. My teenage daughter drove tractor for me last summer. And I have 2 more daughters that hopefully will be able to do the same when they get older. Have you ever known a teenager before and after their first summer job? I’ve known many, but was able to watch my daughter first hand. The difference was astounding. The learning lessons a summer job can provide can’t be beat. I hire about 35 high school and college students every year. The experience they gain is invaluable – probably more valuable than the cash they earn to pay for a car, for fuel, or perhaps college. But do you know what we will be doing if minimum wages increase? We will buy bigger equipment and hire less people. Instead of paying low-skilled employees more, businesses will invest in automation and machinery. It’s simply a sad reality in order for us to survive. Thank you for your time on this very important matter.